SFR, Inc. :: View topic - A Great Dice Tower! Posted: Wed Apr 30, 2014 11:17 am GMT Post subject: A Great Dice Tower! 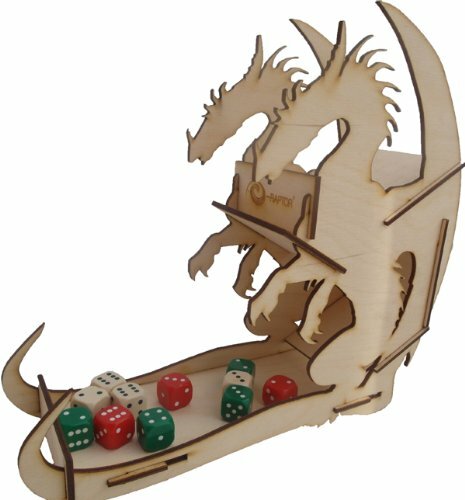 Anyway, this is a great size for rolling fistfuls of dice, and will stand out from across the room that some sort of dragon-flavoured enterainment is going on. Fits together nice and solidly. Rare sized dice and monsters roll through it just fine. Allegedly, it can be dis/assembled for transport; but I'm afraid the locking tabs might eventually snap. But, the pair of them nest together pretty well; so, I'll leave mine assembled and find a travel box to carry them in. Next step is to paint them up in festive dragon colours. I'll put photos on the blog once they're painted.